Part of my childhood died on November 15. 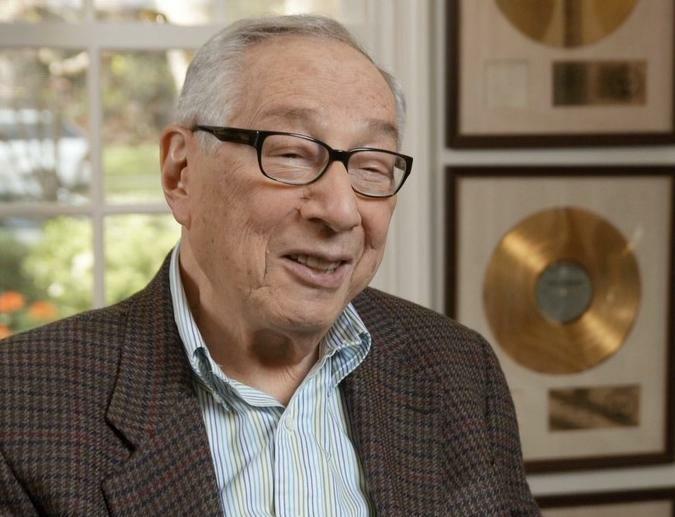 Milt Okun, age 92, succumbed to kidney failure at his Beverly Hills home. When I was in my preschool years, my older brother, by then a high school student, had many records of groups from the folk revival, and, in a reflection of how music for youth in those days wasn't written deliberately to exclude parents and other oldsters, our whole family enjoyed listening to the Kingston Trio; the Limeliters; and, perhaps best of all, the Chad Mitchell Trio. "Lizzie Borden", "Hang on the Bell, Nellie", "The John Birch Society"--all were great family favorites and frequent visitors to my dad's KLH stereo set. I still play them now and again today, and the Mitchell group's snappy delivery and catchy arrangements still never fail to bring a smile to my lips. And who produced all those durable ditties? None other than Milt Okun. He also played a major role in promoting Peter, Paul, and Mary (for whatever reason, my brother wasn't into their stuff) and even performed folk music himself on some small labels. Like most musical fads, the folk revival came and went, and as I came ever more to focus on 78 RPM records and classical music I parted company with Okun's productions. Ironically, Okun began in classical music and planned a career as a classical pianist, but a long youthful illness derailed that career path. He fell into music production, in large part through association with Harry Belafonte, following a stint as a high school teacher. After folk revivalism faded from the scene, Milt Okun kept going on and on. For example, when Chad Mitchell departed his group, Okun recruited a relative unknown named John Denver to replace him, an association that would continue throughout Denver's subsequent solo career. (I must confess, I remember with a certain malicious amusement a remark about John Denver I once overheard at a record show: "Thank God he's a country boy; he wouldn't last ten minutes in the big city!"). Eventually, through years of persistence, Okun persuaded operatic tenor Placido Domingo to enter into what would be a successful partnership with Denver; Domingo's acquiesence to Okun's blandishments would open new musical paths and ultimately lead him to the Three Tenors franchise. Okun also founded a major independent music publishing house, Cherry Lane Music, with artist associations ranging from Tom Paxton to Elvis Presley to members of The Black Eyed Peas. At the 2008 Songwriters Hall of Fame ceremony, Okun was awarded the Abe Olman Publisher Award. His memoir, Along the Cherry Lane, was published in 2011. Survivors include his wife of 58 years, Rosemary Primont, and a son and a daughter.